The Aquatic Plant Management Plan Update was issued. The District obtained a 5-year weed harvesting permit. Work to fix the “Leak in the Lake” was completed. The Golf Course Loan was paid off in December, two years early. The golf course is fully self-sustaining. Aquatic plant survey at 1740 locations on the lake to provide the required data to update the lake’s Aquatic Plant Management Plan. 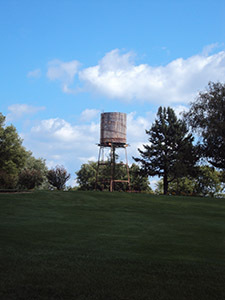 With the generous contributions of Mr. Lawrence Myers, the Golf Course’s historic water tower was fully restored and gardens with a water feature were installed. The area provides a quiet park-like setting which has been the home to a number of parties and weddings. 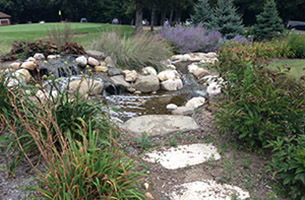 The golf course, which had long been an Audubon Society member, began participation in the Audubon Cooperative Sanctuary Program for Golf Courses. Towns of LaGrange and Sugar Creek began the process of delegating pier inspection responsibilities to the Lake District. Continued restoration of wetlands including extensive native plantings. The Aquatic Plant Management Plan was issued by SEWRPC. Budget was -22.85% lower than previous year. Completed 2-year project to replace culverts on the lake. 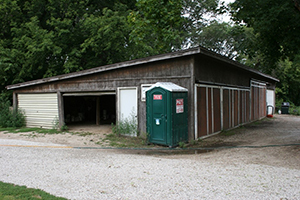 Paid off loan on Lake View property (4 years early) and converted the property to a Community Center for the use by a variety of lake organizations. Initiated Clean Boats Clean Waters (CBCW) DNR program. Actions were undertaken to fix the “Leak in the Lake”. Project undertaken to replace the culverts on the lake. Aquatic plant survey taken to develop a plant management plan for the lakes. In cooperation with the USDA Wildlife Services, began annual non-migratory goose capture program which has helped to clean the lake and lands around it. Constructed new operations building at the Lauderdale Lakes Country Club Golf Course that transformed operations for the golf course and weed harvesting programs. Created joint Water Patrol with the Town of LaGrange. Refinanced Golf Course loan with plans to pay off the entire loan 2 years early. Implemented wetlands restoration project on wetlands property adjoining the Golf Course in Don Jean Bay and established biological buffer using bio-logs. 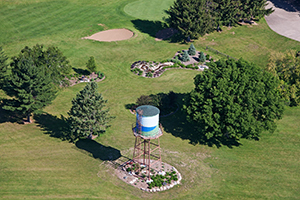 Placed sections of the Golf Course property into a conservation easement with the Kettle Moraine Land Trust. Replaced the antiquated fueling system at the golf course operations building with a new system that is much safer and fully up to code. 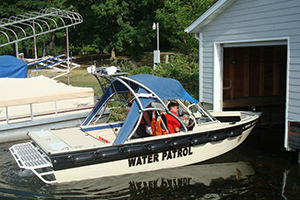 Created Water Patrol; reconstituted in 2002. Currently patrol Lauderdale Lakes and Pleasant Lake with 3 boats and 18 Wisconsin certified law enforcement officers. Purchased a 6.5 acre wetland for $100,000. This property adjoins the golf course property and has about 700 feet of shoreline. The primary purpose for purchasing this parcel was because this is a primary environmental corridor providing excellent habitat and acts as an excellent filter for surface run-off. An additional benefit of this ownership is that it provides a place to moor the Lake District's weed harvesting equipment, Water Patrol boat and provides a site for the water ski team to practice and perform and provides public access to enjoy scenic beauty. Purchased a lot in the Gladhurst subdivision on the north side of Green Lake for the purpose of reducing non-point surface run-off entering our lakes. 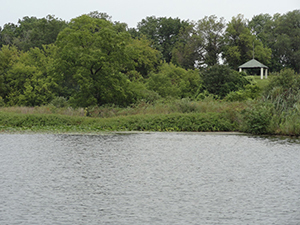 A large detention pond was constructed on this site to capture surface run-off water allowing it to gradually perk into the pond instead of running into the lake through an established tributary. Project Costs: Land Acquisition $40,000, Construction $98,500. A Wisconsin DNR lake protection grant reimbursed 75% of the expenses. Entered into a long-term lease with a local farmer and constructed a detention pond to reduce surface run-off water from entering the lakes. This detention pond is north of Green Lake. Construction Cost: approximately $10,000 75% of which was reimbursed by a Wisconsin DNR lake protection grant. Entered into an agreement with Mr. Russ Keske, a local farmer in the southern portion of the watershed to plant grasses on about 3/4 acre of his farm field. The grasses help trap sediments and nutrients from surface run-off before it can enter our lakes. monitoring. The USGS expenses are cost-shared by the Department of the Interior and Wisconsin DNR grant monies. 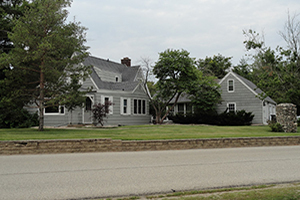 Purchased Lake View property adjoining the Golf Course for $255,000. 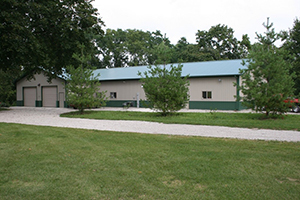 This property was eventually converted from a single family home rental to a Community Center utilized by a variety of lake organizations. Obtained a lake protection grant from the Wisconsin DNR in the amount of $164,250. Scott Mason was selected for and graduated from the 9-day training curriculum of the Lake Leaders Institute with the Crew I. The Institute and its graduates concentrate on enhancing Wisconsin’s lake resources through leadership, training, and civic engagement. The institute focuses on lake ecology, watershed management, shore land development, user conflicts, funding, and organizational procedures. Rezoned the golf course property from Multifamily (R4) to Park (P-1) and combined multiple tax keys. Eventually placed sections of the property in a conservation easement (2003). Purchased the Lauderdale Lakes Country Club nine-hole golf course. The community voted overwhelmingly for this acquisition to head-off development of condominiums on this property (zoned R-4 at the time) and the resulting loss of open space, additional piers and increasing boat density on the lake. 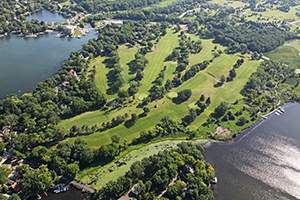 The Lake District continues to operate this property as a daily fee public golf course. The USGS prepared a report based on work titled "Hydrology & Water Quality of Lauderdale Lakes." An interesting conclusion of this reports indicated that 51% of the total phosphorous entering the lakes is from non-point run-off and 25% from septic systems. Contracted with the USGS a comprehensive lake water quality study to analyze the Lauderdale Lakes watershed. This project included preparing a water budget and data to facilitate the development of a waste water management plan to limit the amount of phosphorous entering the lake. Purchased aquatic plant management equipment for $200,000 with the assistance of Wisconsin Waterways Commission Grant. Began Lake District sponsored septic pumping program lake-wide. Lake District was formed in February, 1991 by Walworth County under Wisconsin State Statute Chapter 33. Engaged R. A. Smith engineering consultants to perform on-site inspections of every lake front septic system. 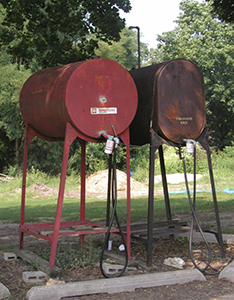 This project identified several failed systems which were likely polluting the lakes. 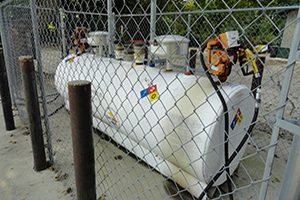 This project resulted in repairing and/or replacing each of the failed systems. Began aquatic plant harvesting program with leased equipment. Obtained a lake planning grant from the Wisconsin DNR.